The US regulator has approved AstraZeneca’s cancer immunotherapy, durvalumab – a blockbuster hopeful that could be the cornerstone of its new generation of oncology treatments. Under the brand name Imfinzi, durvalumab’s first FDA-approved use will be for patients with locally advanced or metastatic urothelial carcinoma, with disease progression during or following platinum-containing chemotherapy, or whose disease has progressed within 12 months of receiving platinum chemotherapy before or after surgery. Bristol Myers-Squibb’s Opdivo and Merck & Co’s Keytruda are the PD1/PD-L1 market leaders, with Roche ‘s Tecentriq and Pfizer and Merck KgAa’s Bavencio also recently joining the market, making AstraZeneca the fifth to gain approval. When it fought off a takeover bid from Pfizer in 2014, AZ said sales of durvalumab could peak at $6.5 billion, but this looks increasingly optimistic is such a crowded market. The drug is key to CEO Pascal Soriot’s goal of $45 billion in sales by 2023, but since then BMS and AZ’s other rivals have got their cancer immunotherapy drugs to market first. And Q1 figures published last week showed the firm badly needs new revenues as generic competition is eating into sales of its Crestor cholesterol drug – although for now this is being masked by cash generated by selling off older or unwanted drugs. While the approval in bladder cancer is a good start for durvalumab, AstraZeneca aims to gain its greatest advantage in combination treatment for non-small cell lung cancer (NSCLC). Its MYSTIC trial tests durvalumab in combination with CTLA4 drug, tremelimumab in the lucrative first-line NSCLC indication. According to analysts at Jefferies this indication could be worth $20 billion in sales for immune-oncology drugs, split between monotherapies such as Merck & Co’s already approved Keytruda (pembrolizumab), and combinations such as durvalumab and tremelimumab. The first progression-free survival results from MYSTIC are due later this year, later than originally expected, with overall survival figures due in 2018. 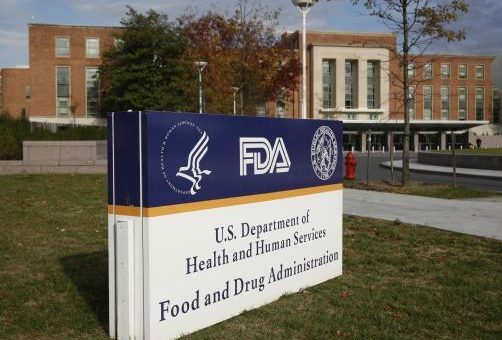 Approval of durvalumab in bladder cancer was granted regardless of whether cancers express PD-L1, although as this was an accelerated approval based on results of a phase 1/2 trial, the FDA will require confirmatory late-stage data to keep the drug on the market in the longer term.